Product prices and availability are accurate as of 2019-03-27 03:49:29 UTC and are subject to change. Any price and availability information displayed on http://www.amazon.com/ at the time of purchase will apply to the purchase of this product. This gorgeous Paula Deen Savannah Collection Aluminum Nonstick 1-Quart Saucepan with Pour Spouts makes it safe and easy to transfer sauces and gravies from pan to platter. The nonstick saucepan's charming scalloped exterior and gorgeous color are inspired by Savannah itself and the city's mix of character, charm and grace. 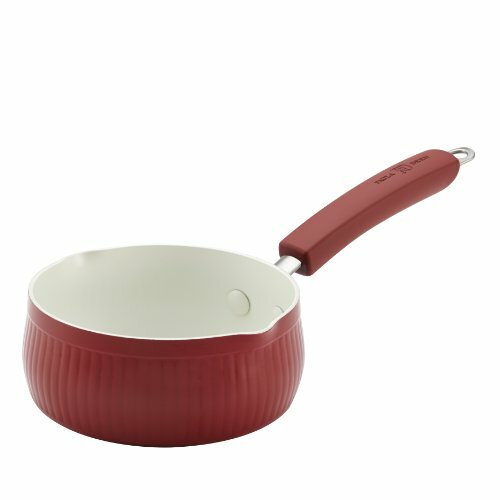 The durable construction heats the saucepan evenly, ideal for scalding milk or whisking together a delicious gravy. 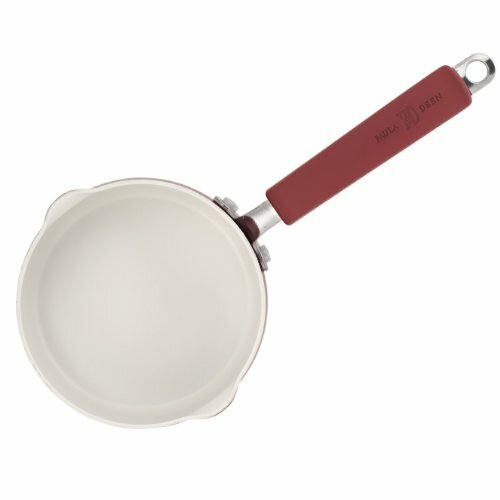 The long-lasting nonstick interior, in a satin finish and ivory color, provides excellent food release and a striking alternative to traditional black nonstick. Conveniently, this saucepan is oven safe to 350 degrees and the contoured handle is dual riveted for strength and comfort. From homemade hot cocoa to a gooey cheddar cheese sauce, the saucepan is the perfect size for warming foods evenly but quickly. With the Paula Deen Savannah Collection Aluminum Nonstick 1-Quart Saucepan with Pour Spouts in the kitchen, it's easy to deliver delicious gravies and sauces to the table for everyday meals or festive gatherings.